). We’ve made a pact several years ago not to crack our heads over buying gifts on special occasions like birthdays, Valentine’s day, Christmas, etc. Can you imagine how many gift ideas we have to come up with every year?? To be able to spend every day together is really the best gift we could wish for. Major goose bumps alert! Haha! Even though we promised each other no gifts, that doesn’t mean I can’t show some PDA (Public Display of Affection), right? Sorry guys, please “bear” with me! 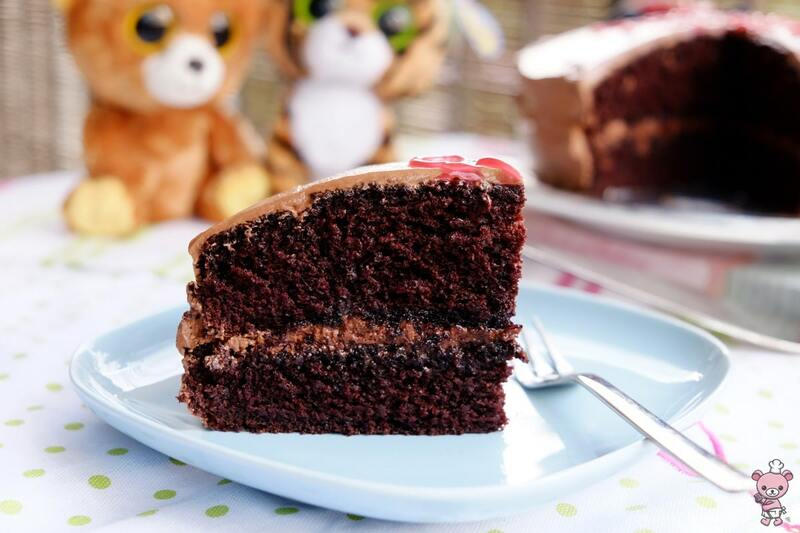 This moist chocolate cake is specially dedicated to him. 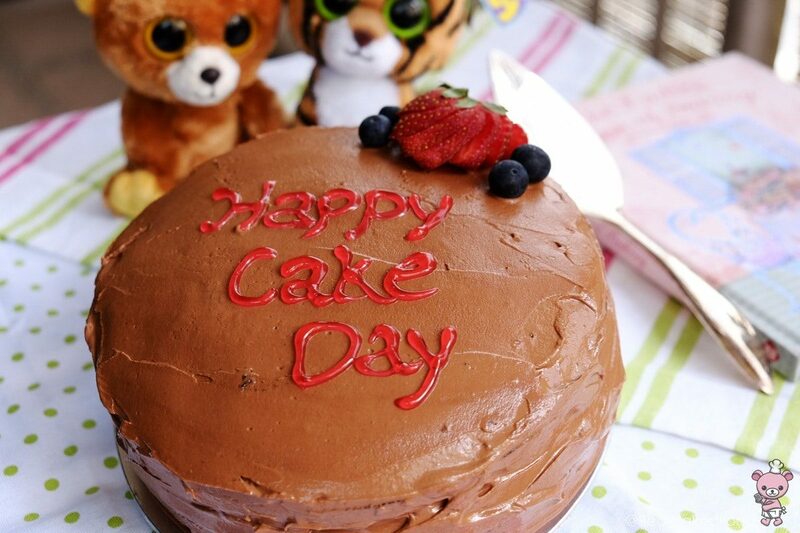 Happy Birthday, my tiger! Preheat oven to 180°C /350°F. Prepare and grease 2 cake tins (9-inch). 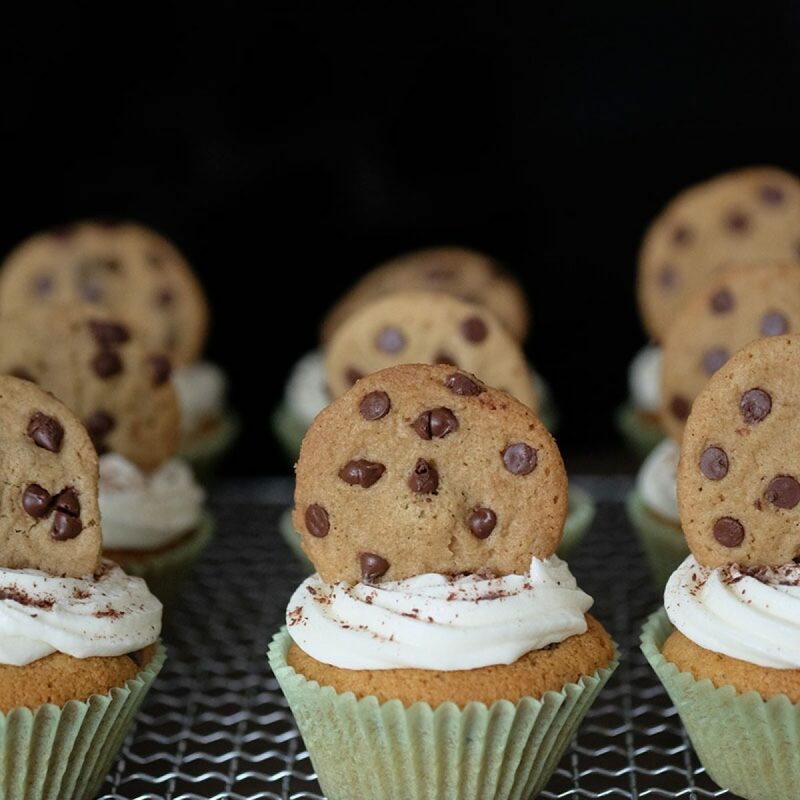 If you only have one, you will have to bake it in 2 batches (like me). 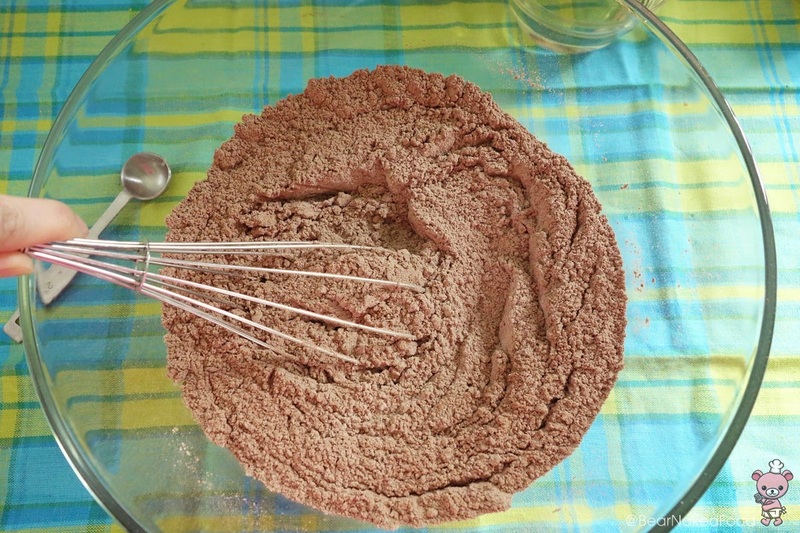 In a large bowl, using a hand mixer or stand mixer, whisk together the sugar, flour, cocoa powder, baking powder, baking soda, and salt. I’m using a hand whisk to mix all the ingredients. Just felt I needed to tone my arms :-P. Feel free to use a hand mixer or stand mixer. 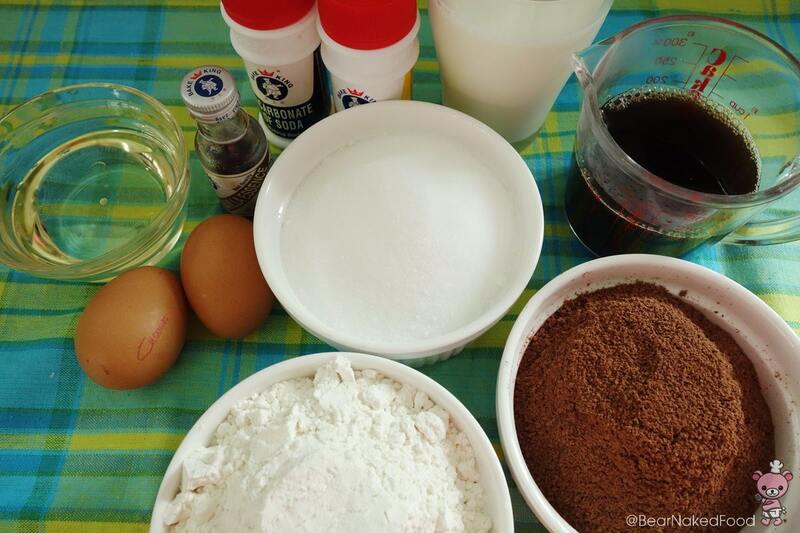 In another large bowl, whisk together the eggs, water (or coffee), milk, oil, and vanilla extract. 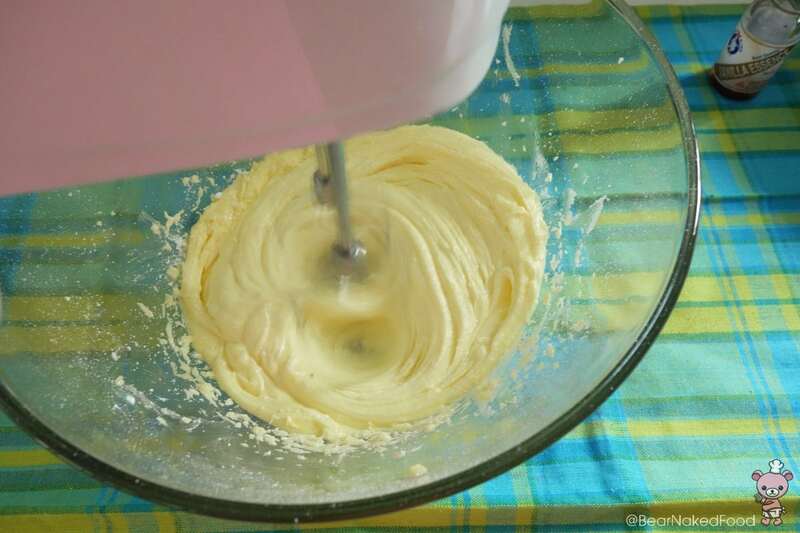 Add the wet ingredients to the dry ingredients and whisk until combined. The batter is quite watery and that is okay. 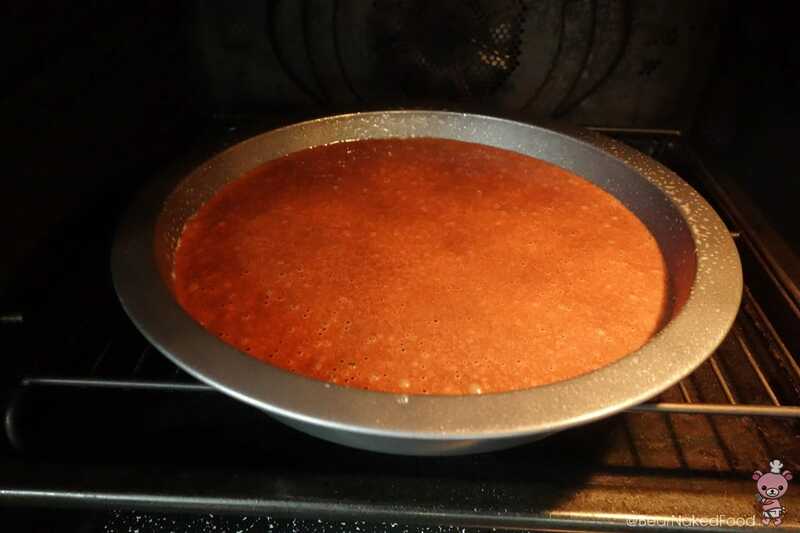 Evenly divide the batter between the two tins and bake for about 25 -30 minutes or until a skewer inserted into the center of the cake comes out clean. Because my oven can only fit one tin at a time and I only have one tin 🙁 , I’m baking the cake in two batches. Don’t worry about the cracked top as we will be covering it with a frosting. If it really bothers you, you could slice off a little of the uneven top. 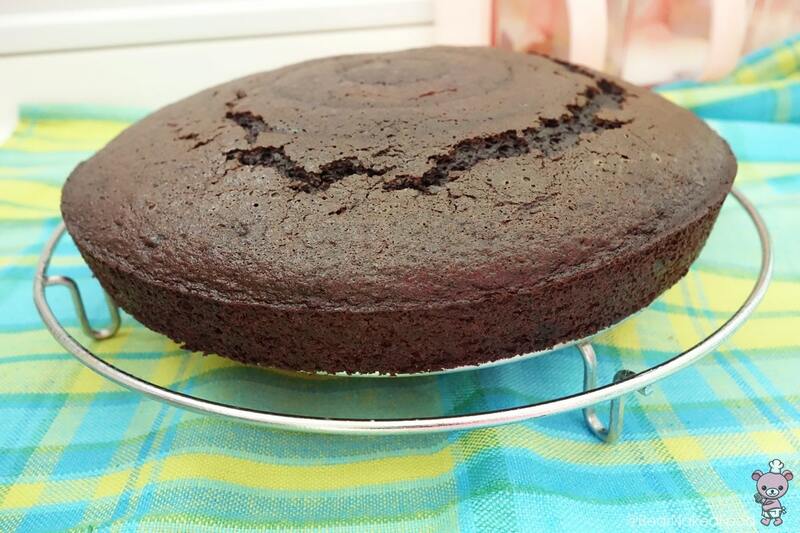 If you are using one tin, let the cake cool for about 10 mins before removing it. 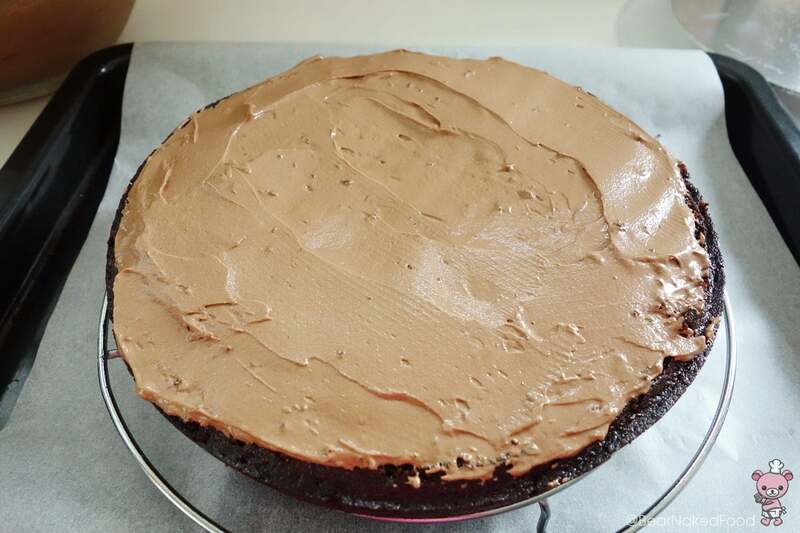 Grease the cake tin again and pour in the remaining batter and bake. 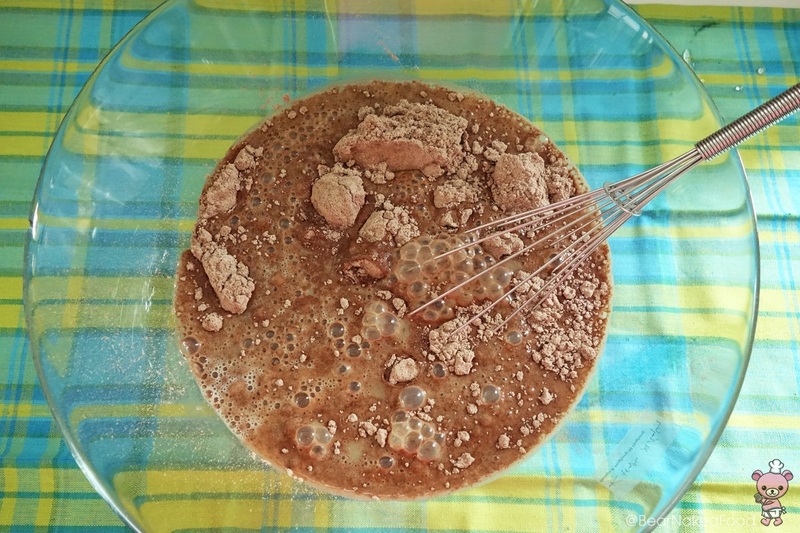 Melt the chocolate in a microwave or over a bain marie (hot water bath). 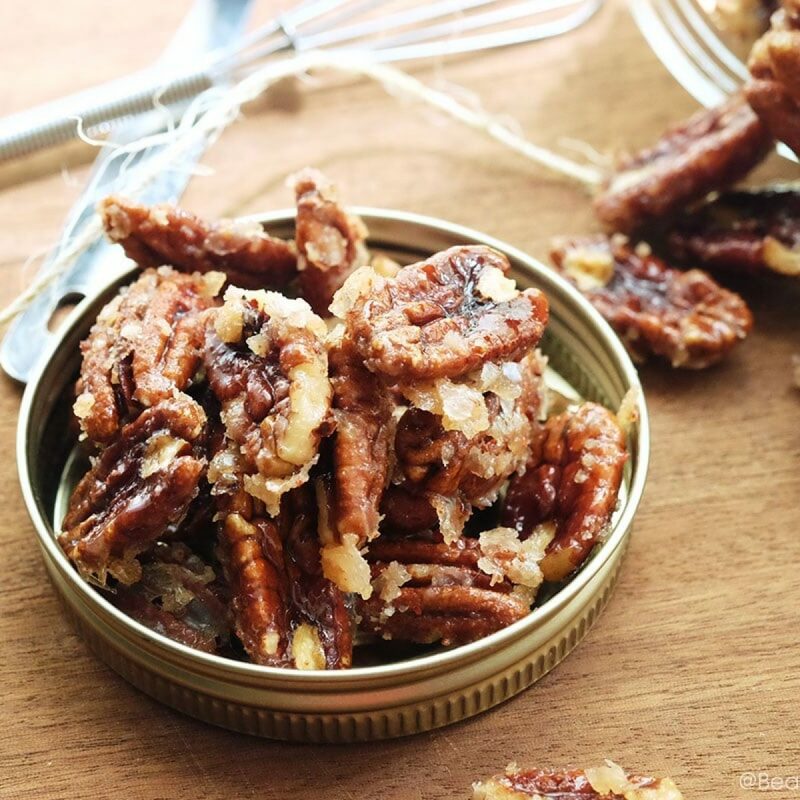 Stir it gently and set aside to cool at room temperature. Bain Marie method: Bring 1/3 pot of water to boil and lower the heat. 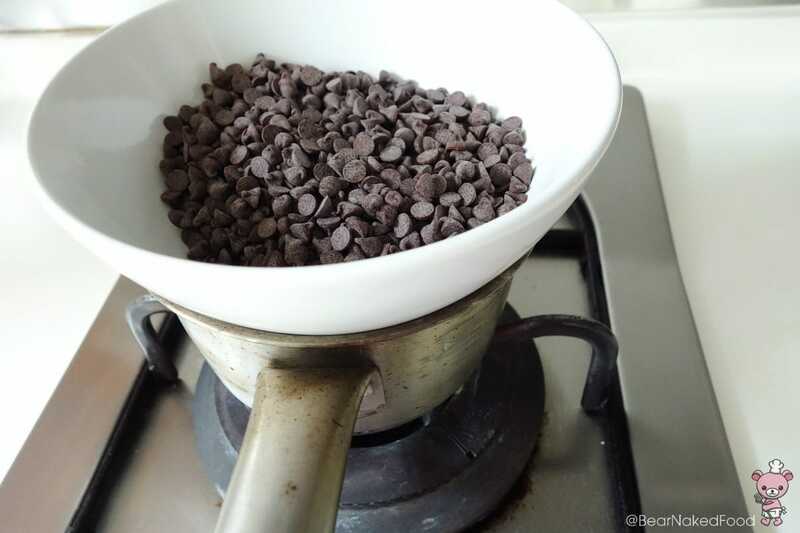 Put the chocolate chips in a bowl on top of the pot and the heat will melt the chocolate. 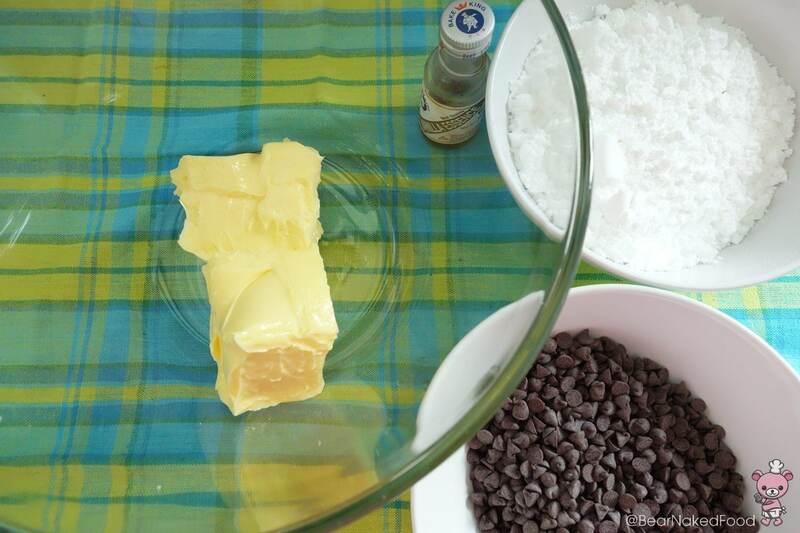 Add the butter in a medium sized bowl and beat the butter (using a hand mixer) until smooth and creamy (about 1 min). Okay, I switched to using a hand mixer as my arms are tired 😛 . Add the sugar and beat until it is light and fluffy (about 2 mins). 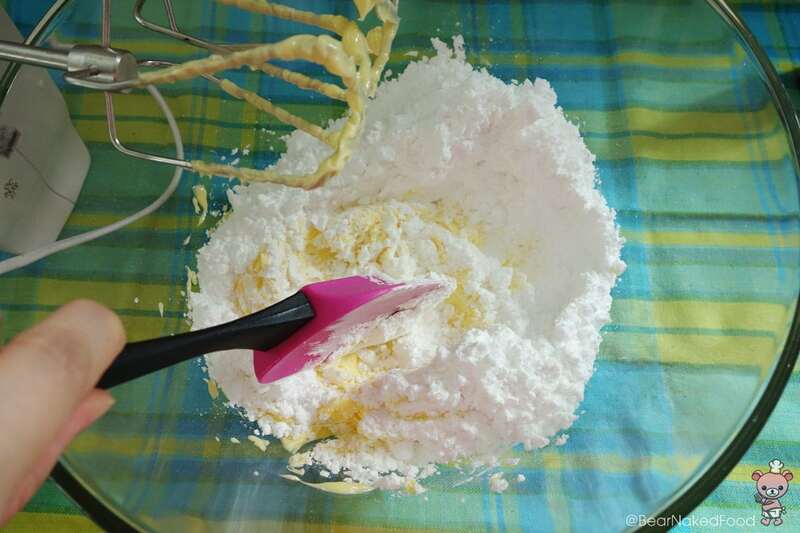 Unless you want powdered sugar flying all over the place, mix the sugar with the butter using a spatula first before turning on the mixer. Beat in the vanilla extract. Add the chocolate and beat on low speed until incorporated. 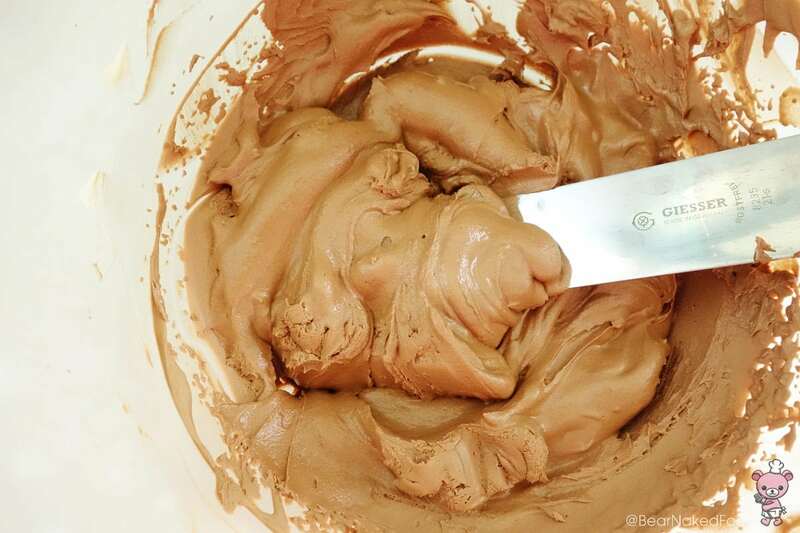 Increase the speed to medium-high and beat until frosting is smooth and glossy (about 2 -3 minutes). 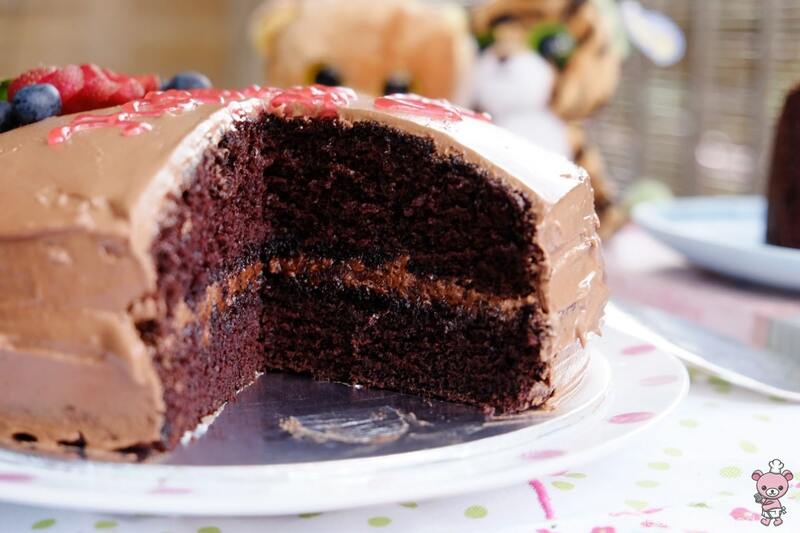 Take a large dollop of frosting and spread it on one cake. Take the 2nd piece of the cake and cover. This is one tall cake! 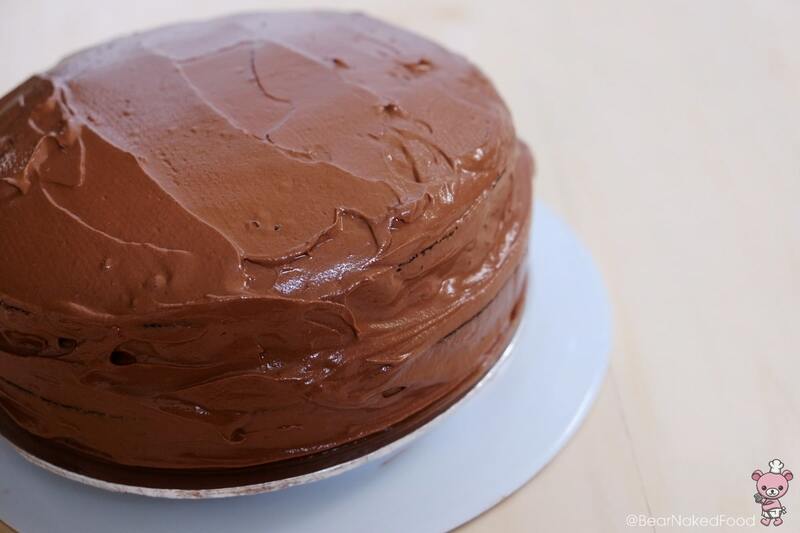 With the remaining frosting, spread it all over the two-tier cake. Using a flat spatula or long knife will definitely help you to achieve a smoother finishing. 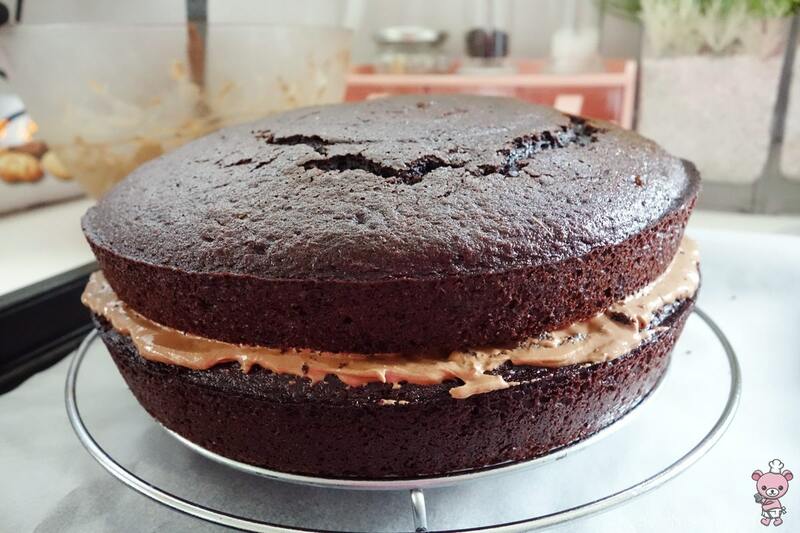 So tempted to cut into it but will have to wait! Decorate as you like or serve it as it is. Preheat oven to 180C /350F. 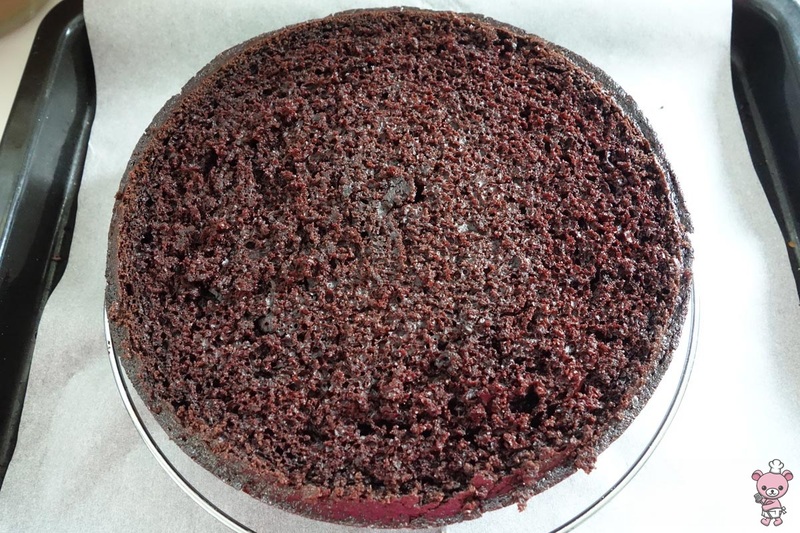 Prepare 2 9-inch round cake tin. 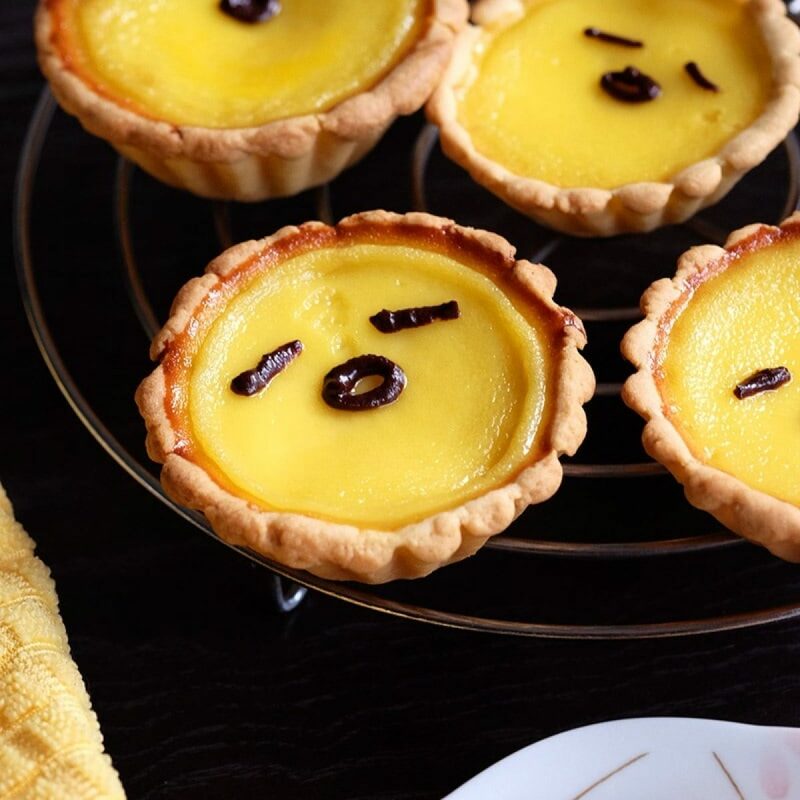 If you only have one, you will have to bake it in 2 batches (like me). 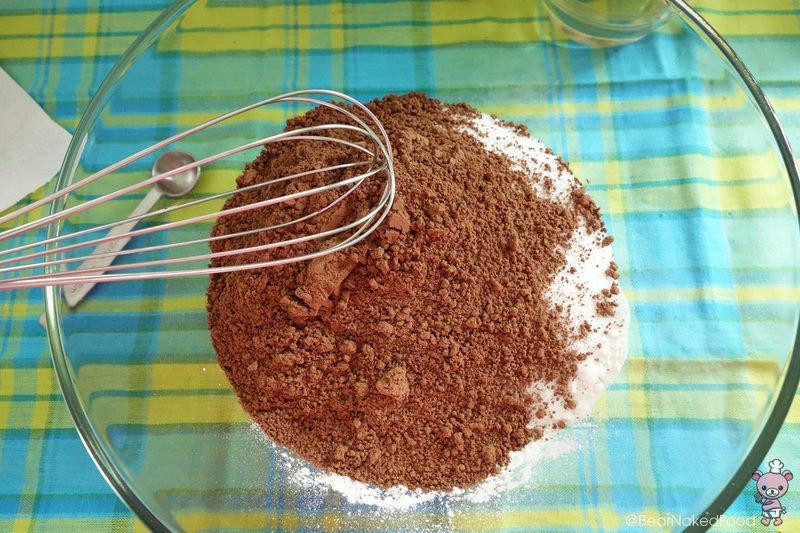 In a large bowl, using a hand mixer or stand mixer, whisk together the sugar, flour, cocoa powder, baking powder, baking soda, and salt. 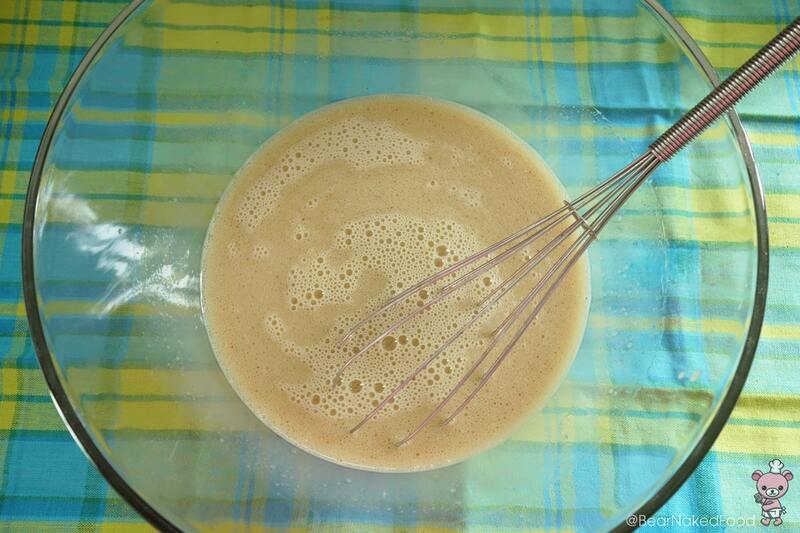 In another large bowl, whisk together the eggs, water (or coffee), milk, oil, and vanilla extract. Add the wet ingredients to the dry ingredients and whisk until combined. The batter is quite watery and that is okay. 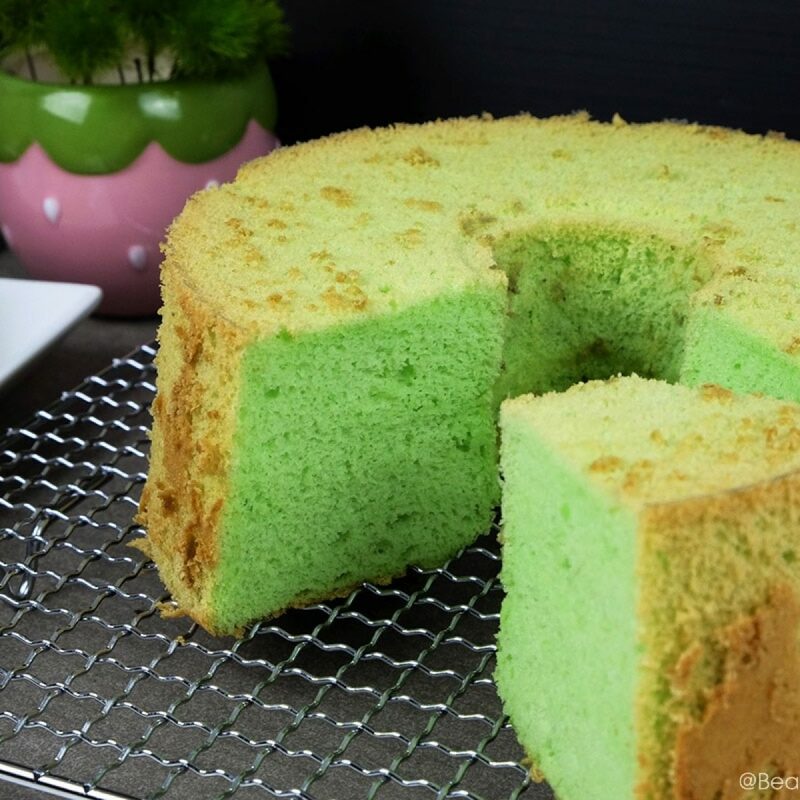 Evenly divide the batter between the two tins and bake for about 25 -30 minutes or until a skewer inserted into the center of the cake comes out clean. 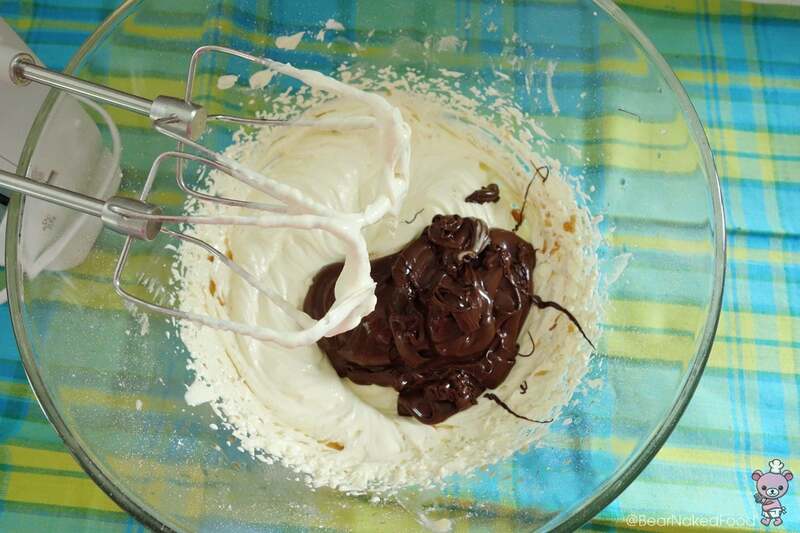 Melt the chocolate in a microwave or over a bain marie (hot water bath). 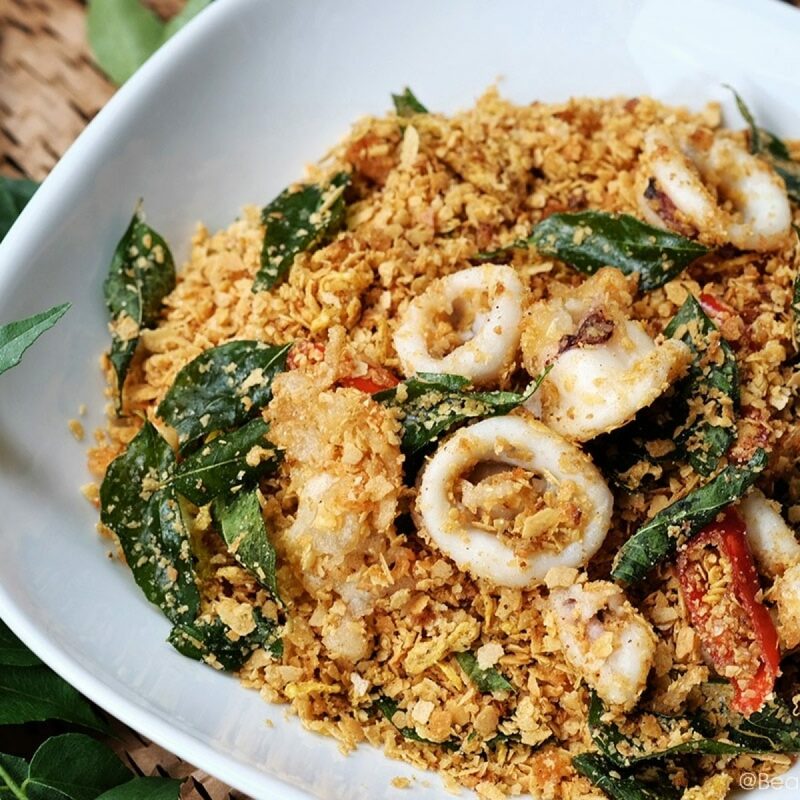 Sitr it gently and set aside to cool at room temperature. 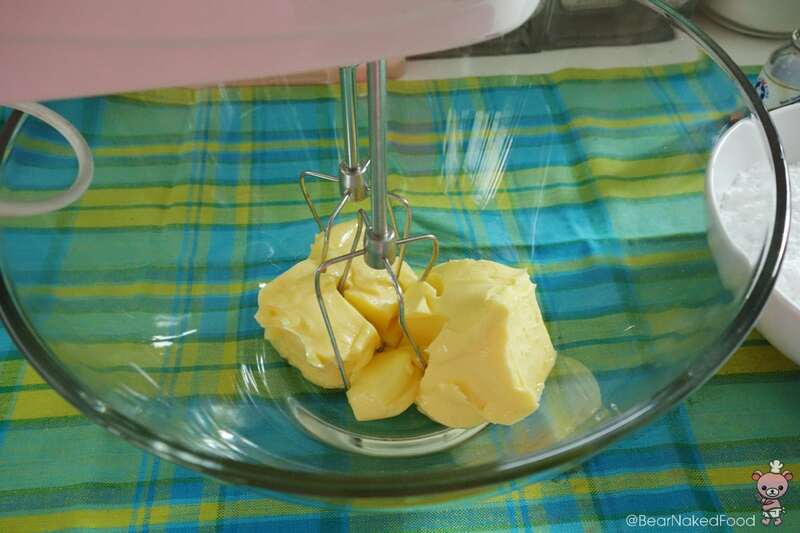 Add the butter in a medium sized bowl and beat the butter (using a hand mixer) until smooth and creamy (about 1 min). Add the sugar and beat until it is light and fluffy (about 2 mins). Beat in the vanilla extract. Add the chocolate and beat on low speed until incorporated. Increase the speed to medium-high and beat until frosting is smooth and glossy (about 2 -3 minutes). 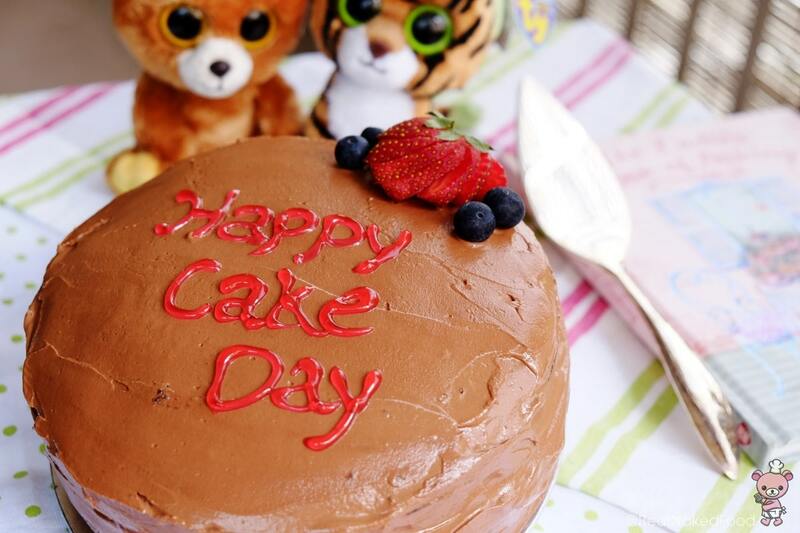 Let’s build the cake! Take a large dollop of frosting and spread it on one cake. Take the 2nd piece of the cake and cover. With the remaining frosting, spread it all over the two-tier cake. Using a flat spatula or long knife will definitely help you to achieve a smoother finishing. 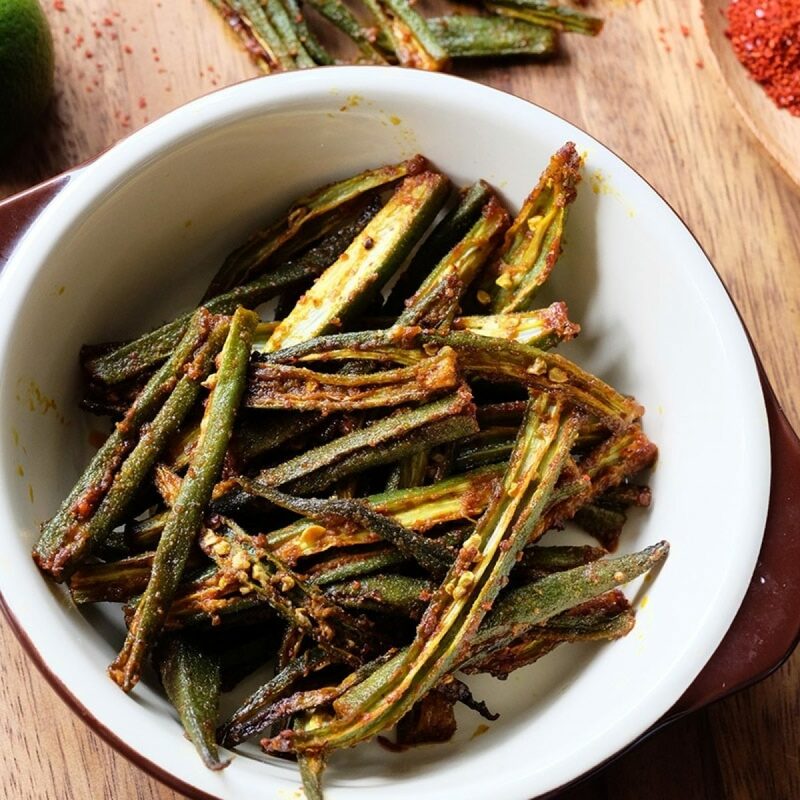 Decorate as you like or serve it as it is.